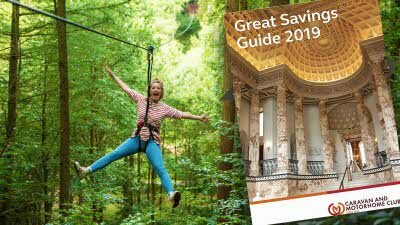 There are plenty of days out packed into our Great Savings Guide for 2019 – with great savings on over 900 attractions through the UK and Ireland. You can enjoy 10% off entry to Go Ape and much more. The booklet is valid for the entire year, subject to normal venue opening dates and times. There is a fixed rate for UK post and packing of £2.50 per order no matter how many items are ordered (this excludes free items which are sent free of charge unless combined with a paid for product in which case P&P will apply). We aim to deliver your order in the UK within 5 working days, but for anything showing out of stock please allow 28 days. Multiple items ordered will be dispatched together once they are all in stock. If for any reason you are not 100% satisfied with your item, you can return your purchase up to 14 days (as per the Club's Terms and Conditions) from the date of despatch. Products must be in the condition in which you received them and in the original box and or packaging. Please note we are unable to accept returns of gift vouchers.